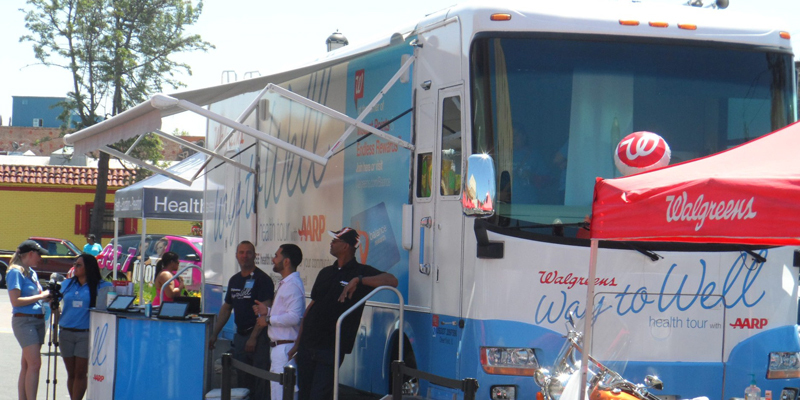 The Walgreens-AARP project is dedicated to providing free prevention and early detection health services to the nation’s underserved communities via a fleet of co-branded buses that visit underserved urban areas. 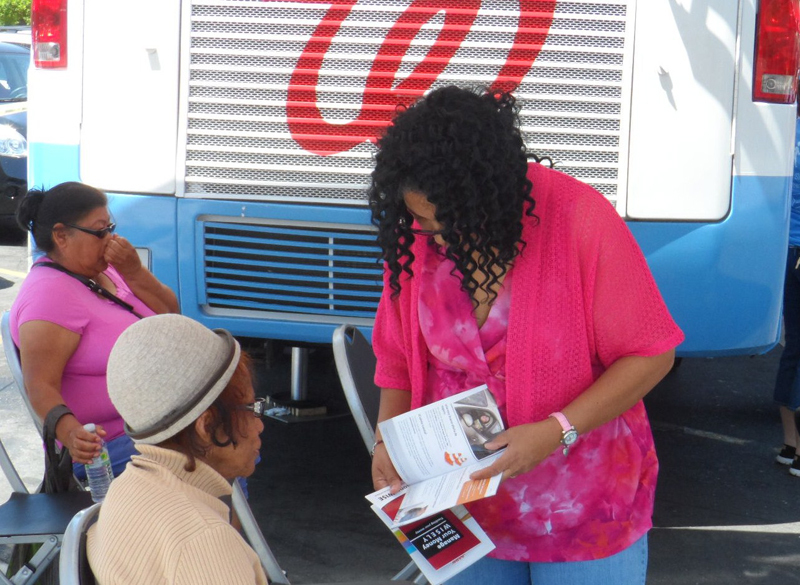 The tour bus offers free tests, assessment, education and consulting services to communities with the highest prevalence of common diseases and uninsured and unemployed community members. Trained health testers have administered more than three million screenings since the tour began. Consumer Action’s associate director of outreach and training, Audrey Perrott, met up with the tour in East Oakland and distributed financial education brochures, including the MoneyWi$e publications offered by Consumer Action and Capital One. Perrott, showered with questions from multicultural consumers aged 50 and older, found a very appreciative audience hungry to receive information about senior scams, identity theft, managing money and other topics. “We are pleased to join Walgreens and AARP to promote overall health and wellness for adults 50-plus,” said Perrott. The bus stopped at six Walgreens stores in East Oakland along with other stops in downtown San Francisco, Richmond and other nearby Bay Area cities. AARP enlisted the help of local community partners, volunteers and the media to get the word out about the bus tour. Consumer Action distributed 350 financial education publications. Consumers received cholesterol and glucose screenings, blood pressure checks and comprehensive weight assessments. The free screenings were valued at more than $140. Consumers were not required to have health insurance to participate. AARP provided free one-year memberships to new participants and one-year extensions to existing AARP members.